18ABR18 .- For subscriptions and other information about this site, go to businessovertapas.com - email: businessovertapas@gmail.com - ***Now with Facebook Page (Like! )*** Note: Underlined words or phrases are links to the Internet. Right click and press 'Control' on your keyboard to access. Business over Tapas and its writers are not responsible for unauthorised copying or other improper use of this material. Subscription and e-mail information in our archives is never released to third parties. 12ABR19.- For subscriptions and other information about this site, go to businessovertapas.com -email: businessovertapas@gmail.com - ***Now with Facebook Page (Like! )*** Note: Underlined words or phrases are links to the Internet. Right click and press 'Control' on your keyboard to access. Business over Tapas and its writers are not responsible for unauthorised copying or other improper use of this material. Subscription and e-mail information in our archives is never released to third parties. 04ABR19.- For subscriptions and other information about this site, go to businessovertapas.com - email: businessovertapas@gmail.com - ***Now with Facebook Page (Like! )*** Note: Underlined words or phrases are links to the Internet. Right click and press 'Control' on your keyboard to access. Business over Tapas and its writers are not responsible for unauthorised copying or other improper use of this material. Subscription and e-mail information in our archives is never released to third parties. 29MAR19.- For subscriptions and other information about this site, go to businessovertapas.com email: businessovertapas@gmail.com - ***Now with Facebook Page (Like! )*** Note: Underlined words or phrases are links to the Internet. Right click and press 'Control' on your keyboard to access. Business over Tapas and its writers are not responsible for unauthorised copying or other improper use of this material. Subscription and e-mail information in our archives is never released to third parties. 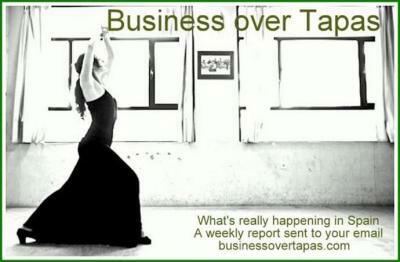 23MAR19.- For subscriptions and other information about this site, go to businessovertapas.com - email: businessovertapas@gmail.com - ***Now with Facebook Page (Like! )*** Note: Underlined words or phrases are links to the Internet. Right click and press 'Control' on your keyboard to access. Business over Tapas and its writers are not responsible for unauthorised copying or other improper use of this material. Subscription and e-mail information in our archives is never released to third parties. 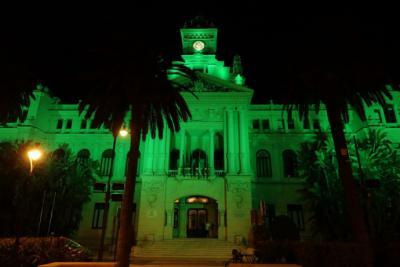 19MAR19  MÁLAGA.- La Asociación Histórico Cultural Torrijos 1831, junto con el Círculo Cultural Irlandés de Málaga, ha conmemorado en el Centro de Interpretación Histórico José María Torrijos (Refectorio), el Día de San Patricio (17 de marzo). 14MAR19.- For subscriptions and other information about this site, go to businessovertapas.com - email: businessovertapas@gmail.com - ***Now with Facebook Page (Like! )*** Note: Underlined words or phrases are links to the Internet. Right click and press 'Control' on your keyboard to access. Business over Tapas and its writers are not responsible for unauthorised copying or other improper use of this material. Subscription and e-mail information in our archives is never released to third parties. 14MAR19  MADRID.- España Exportaciones e Inversiones abre el próximo 1 de abril hasta el 6 de mayo la convocatoria de Becas de Internacionalización 2021 para formar a jóvenes profesionales especializados en la internacionalización empresarial y potenciar su inserción laboral. 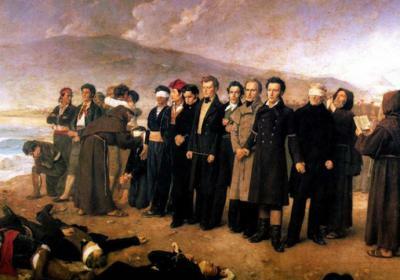 El fusilamiento de Torrijos del pintor español Antonio Gisbert en 1888. El pelirrojo que está en el centro del cuadro es Robert Boyd. 11MAR19 – MADRID.- Después de defender Cartagena y Alicante del cerco de las tropas francesas sobre estas dos plazas fuertes, sus jefes militares, a cuya cabeza se encontraba desde el verano José María Torrijos, acordaron con las fuerzas ocupantes un convenio de rendición muy favorable pese a que eran las últimas en rendirse. De modo que Cartagena fue ocupada por los franceses el día 4 de noviembre de 1823.